Dubai: Most consumers who are buying counterfeits of luxury products do so with the full knowledge of what they are buying, said a senior official on Tuesday. The Department of Economic Development in Dubai (DED) on Tuesday destroyed a huge haul of fake goods confiscated last year. The department had seized 19.9 million pieces of counterfeit items with an estimated market value of Dh332 million in 2018. Speaking to Gulf News, Ebrahim Ahmad Behzad, Director of Intellectual Property Rights Protection at DED, said consumers are fully aware of the genuineness of products because of the huge price difference. “If a bag that is originally worth Dh5,000 is available for Dh500 in a store and it is also not displayed openly in the shop then it is obvious that it is not original,” said Behzad, giving an example of a simple way to identify a fake item. Ebrahim Ahmad Behzad confiscated counterfeit products at DED warehouse in Umm Ramool. Ranging from cosmetics and perfumes to luxury handbags and vanity boxes as well as watches, sunglasses, shoes, mobiles, accessories and auto spare parts ... the list of confiscated fake products is long and covers every segment of consumer products. 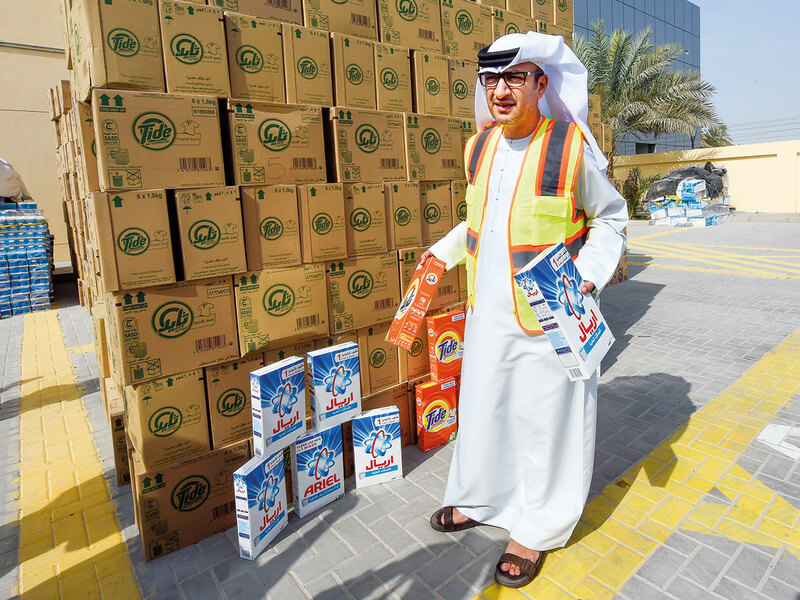 Among the confiscated products, cosmetics topped with 4.9 million items worth Dh88.3 million. Cans and other packaging material stood next at 3.3 million pieces worth Dh21.4 million, followed by phones and accessories with 2.3 million pieces. In terms of value, phones and accessories topped with an estimated value of Dh98 million, followed by cosmetics and watches, 151,165 pieces of which were seized worth Dh21.7 million. The counterfeit products included some of the most popular brands ranging from Nike shoes, Ray-Ban sunglasses, Louis Vuitton bags, Dior perfumes, Sensodyne toothpaste, Ponds talcum powder, Vatika and Head & Shoulders shampoo, Pears soap to Samsung mobile phones and accessories, HP printer cartridges, Tide and Ariel detergents etc. Counterfeits of even the popular Indian digestive pills Hajmola are being sold in the market. Most of the products are packaged so well that it is virtually impossible for a layman to differentiate between the original and a fake. So, is there a reason to worry for consumers? “Not really, there is no reason to worry. As most of these fake products are confiscated from warehouses from where the goods are exported, very few of these were being sold locally. In Dubai it is not easy to sell counterfeit products openly as we have our inspectors everywhere,” said Behzad. However, he added that if the consumers have any doubt about any product or if they suspect any fraud, they can reach DED through its call centre (600 54 5555), its twitter handle @Dubai_consumer or the Smart Protection app. Last year, the Commercial Compliance and Consumer Protection (CCCP) sector in DED received 330 cases from trademark owners and representatives, out of which 289 were related to trademarks and 41 involving commercial agencies. “Our team conducts planned and random campaigns against counterfeit goods round the year, and we have recorded at least 3,700 confiscations in 2018. Products of four countries accounted for 63 per cent of such confiscations, 622 from Switzerland, 569 from France, 556 from Italy, and 478 from the US,” said Behzad. From luxury bags and watches to cosmetics, perfumes and other consumables, anything that you buy could be fake, depending on where you buy it from and how much you pay for it. Here are a few steps suggested by DED to ensure you are not falling for a counterfeit product. Buy from reputed stores, especially if you are buying luxury products. Don’t buy if the product is not displayed openly. Don’t buy if price is too low to be true. Don’t buy if the packaging doesn’t look good or the seal is broken. Don’t buy if the trader is not giving you a proper receipt. A counterfeit product is made in imitation of the original so as to pass off deceptively as genuine. Fake means anything that is not genuine, not necessarily implying anything about an intention to deceive.